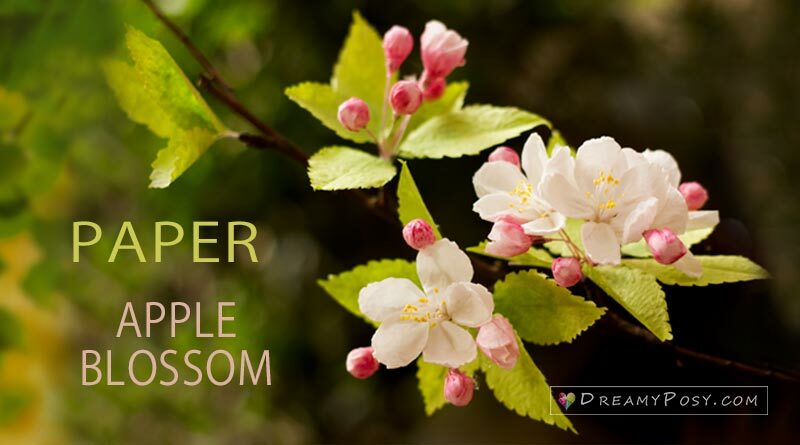 Hope that this paper apple blossom tutorial will warm you up through this heavy snow winter and light up the spring around your house. 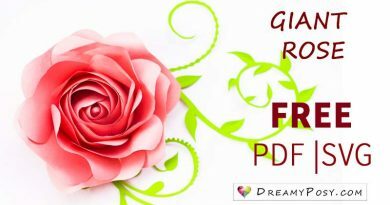 As usual, free template and step by step video and pictures are included. 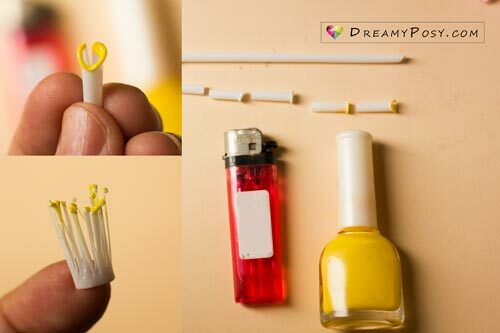 Cut the drinking straws into 1.5 cm sections. Use the lighter to burn one head of the section and color that head with yellow paint. I use a nail polish but you could use acrylic paint or else. After the paint dried, cut the sections into an eyelash shape. Step 3: Get the facial tissue and cut the petals from my free template. You can cut many layers at a time to save time, then separate them later. 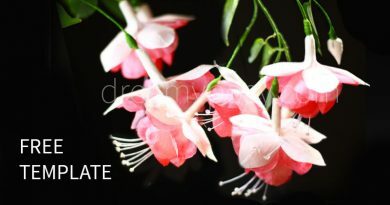 Use your finger to form the petals as below picture. 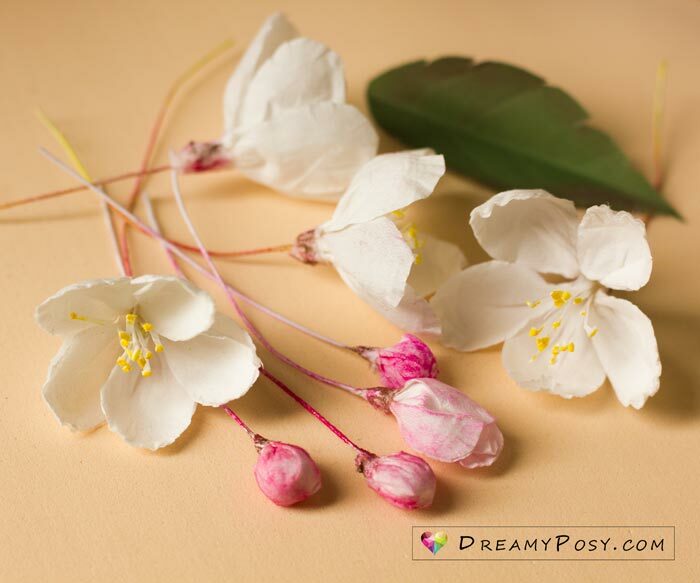 Step 4: Glue 5 petals with the stamen for each flower. 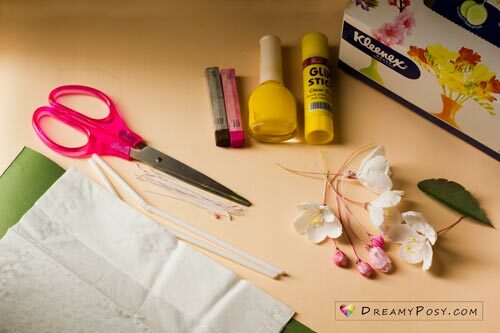 Wrap the bottom of the flower with a little strip of facial tissue by glue stick. 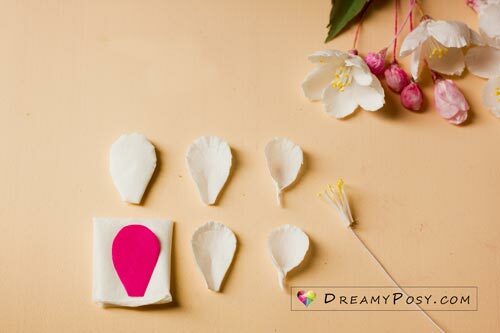 Color the bottom of apple flower with pink and brown powder that was ground from pastel chalk, with the help of a small brush. 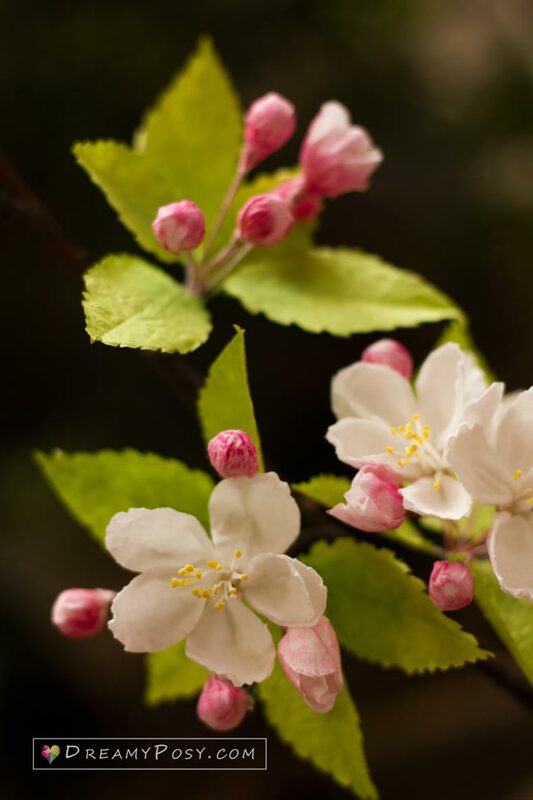 Glue a 4mm bead the floral wire gauge 28 and cover by 3 smaller apple petals. 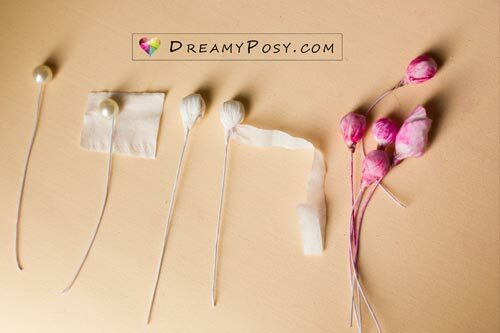 Wrap the bud with a small facial tissue strip and glue stick. Color it with color powder as above. 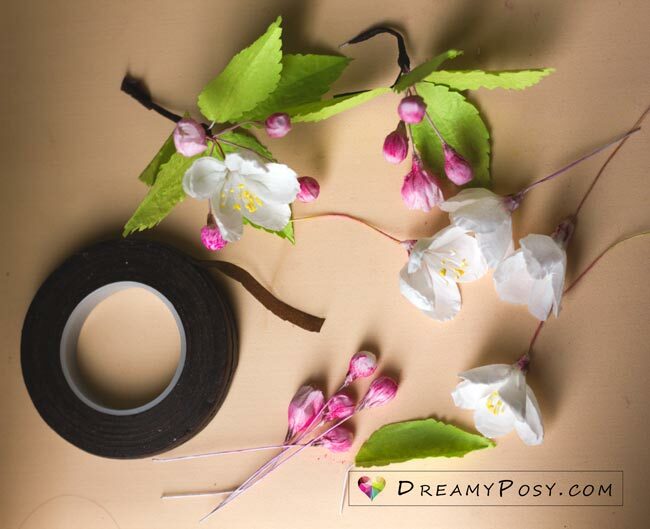 Step 7: Wrap the flowers and buds together with brown floral tape. 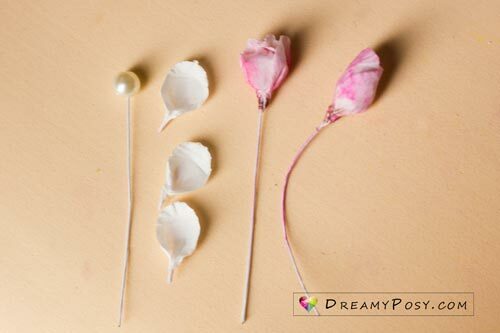 Use a dried branch to attach all these beauties with brown floral tape. 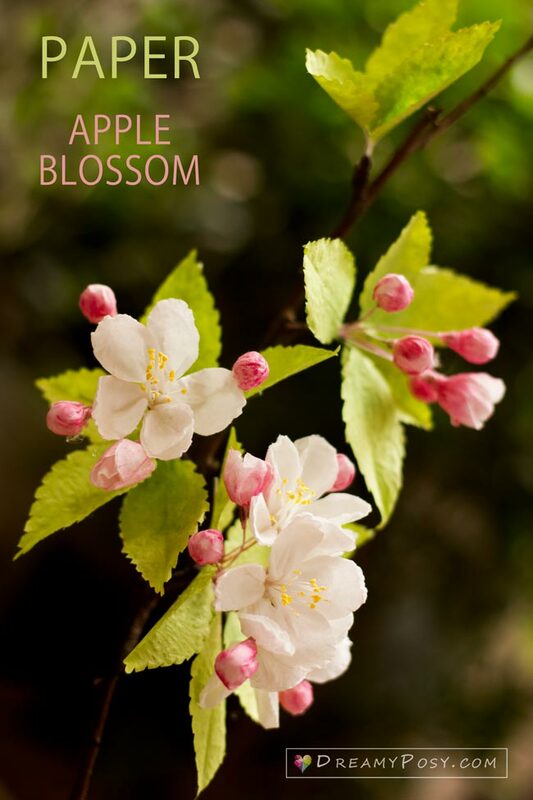 More apple buds with dark pink will help brighten up your branches. Well, what do you think? You can make so many beautiful crafts right from very simple materials around you. 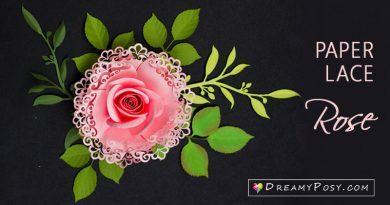 Follow me to get many more craft ideas. I love these flowers so much. Thank you taking the time to write such a great tutorial. I can’t seem to find the template for the cherry blossoms. No doubt I’m missing it. Can you direct me please? I have tried several times, unable to download the template. I really love this pattern. Please help, thank you so much. You’re welcome. Sorry that I have no experiences with satin ribbon, Avery.